The CFMEU is proud to bring to you an outstanding range of benefits. Being a member of the CFMEU, you are a part of the combined strength that is committed to improving and maintaining your work AND family balance. 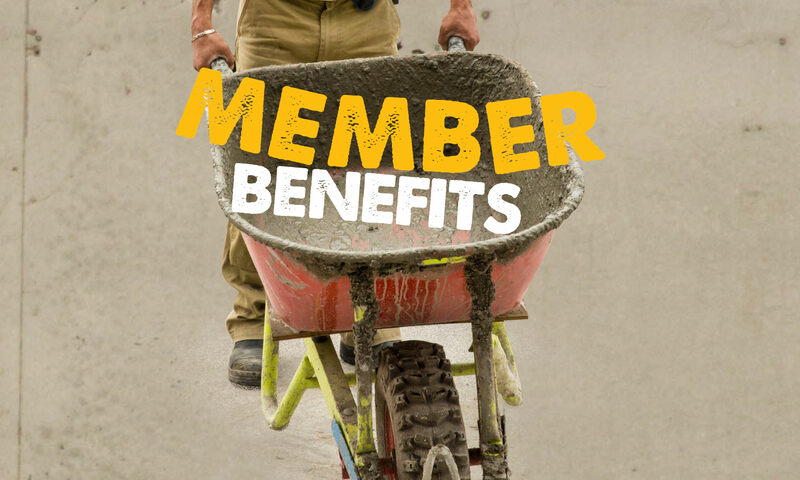 In addition to the superannuation, long service leave and redundancy benefits which the CFMEU has won, there is a list below of other side-benefits that you get from being a member of the Union. If an eligible financial member of the Union dies, and a claim is accepted by our insurer, the insurer will pay the member’s family the Funeral & Associated Benefit of $5000 as a lump sum. Unionshopper works with union to save members as much as possible through buying power. Eligible financial members and their eligible immediate family are entitled to emergency transport cover. CFMEU members are entitled to access one free initial legal advice. Please contact the CFMEU Office on 02 6267 1599 to arrange referral to legal service. The CFMEU ACT Branch is continually negotiating agreements with companies employing workers in the ACT.